This CBT provides hard facts on LAN-to-LAN connections and LAN to WAN connections. Learn about bridges, routers, switches, and gateways, resource sharing devices, and network operating systems. Compare technologies and services including PBX, optical fiber, T1/E1 digital circuits, X.25 packet switched networks. Explore the four broadband technologies: Frame Relay, SMDS, SONET and ATM. A brief introduction to the World Wide Web is included. This interactive, self paced computer based training courseware features electronic bookmark, progress report, review quizzes with personalized feedback and assessment software. 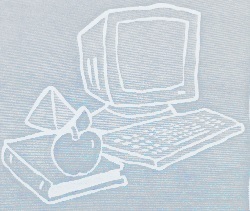 The assessment software lets you determine how well you have learned the topics covered. The assessment software randomly generates questions providing a different test each time it is used. Perfect for pretest and post test. This CBT was authored by Gary Audin, one of the world's leading communications experts. Explain the role of the network operating system on a LAN. Select which servers should be part of your LAN environment. Interconnect other LANs and wide area networks. Compare the functions of repeaters, bridges, switches, gateways and routers. Select which device to use when connecting two or more LANs. Describe the uses of T1/T3 for LAN interconnections. Describe how a Windows NT Server can add a NetWare server. Evaluate your network operating system's performance pertaining to installation, integration, manageability, directory services and scalability.